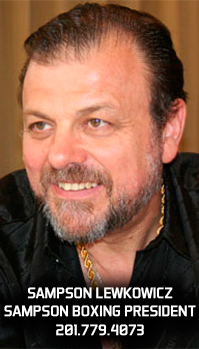 The Carlos Monzón Cup (Super 8 Middleweight Tournament) already has its four semifinalists, three of which did not start the contest as favorites (Germán Peralta, Francisco Torres and Johnatan Sánchez), which speaks of the equivalence of the fights and the quality matchmaking of Sampson Boxing and Tello Box. 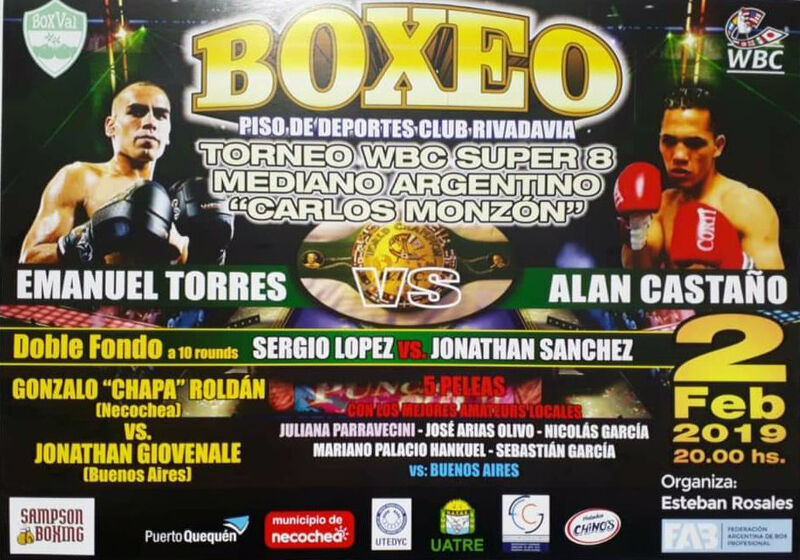 This Saturday, February 2, at the Rivadavia club in Necochea, the Buenos Aires-born "Pancho" Torres (who beat the great favorite Alan Castaño by points) and Sánchez, from Chubut (winner of Sergio "Checho" López, another candidate), managed to gain access to "semis" in a successful evening, followed by a crowd that was very happy in the venue. One of the points that demonstrate the success mentioned is that the organization had to place more chairs in the ring side to supply the demand of the public. In the main fight of the festival, Torres (71,700) boxed with great style and surpassed Alan Castaño (71,500) without objections. Supported by the precision of his jab and displacement of legs he dominated almost all the bout and won with cards of 96-94 (2) and 97-93. On the other main event the representative of Puerto Madryn, Chubut, Johnatan Sánchez (71,800) fell in the first round, but with bravery and boxing could turn the fight and in the third round his rival "Checho" López (71,900) retired from the ring literally, in an unusual and shameful event, which led him to lose by KO. The semifinals to be held on April 6 will be the following: Francisco Torres vs. Gonzalo Coria and Johnatan Sánchez vs. Germán Peralta. Even there is no confirmed venue, but that festival could be held in the province of Cordoba. Gabriel Omar Díaz (Rafaela, Santa Fe, 68,700) GPP 6 (unanimous) a- Emiliano Exequiel Pucheta (Santa Fe capital, 68,800). Ckari Cani Mansilla (Córdoba, 58,100) GKOT 4 to Gonzalo Germán Demarco (Del Carril, Bs.As.58,900). Gonzalo José Roldán (Necochea, 93,100) E 3 (majority Technical decision,) with Jonathan Martín Giovenale (Haedo, Bs.As, 96).